Beautiful 2-story home on corner lot in Curtis Pond that is MOVE-IN ready! Formal dining room and formal living room. Two-story foyer and two-story, sunken great room with fireplace. 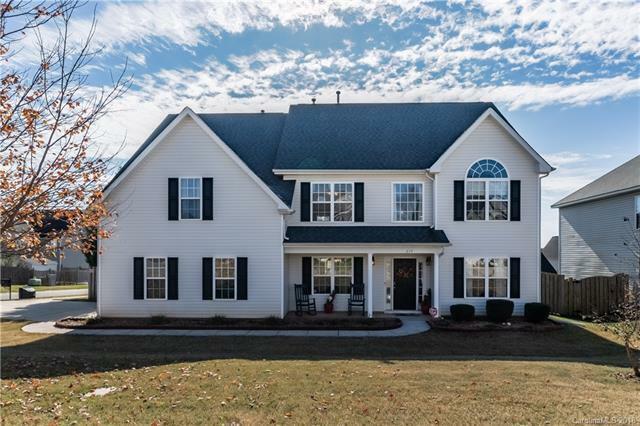 Upstairs Master bedroom with tray ceilings, walk in closet, siting area & master bath with soaking tub, separate shower, dual sinks & extended vanity w/makeup area. 2 additional spacious bedrooms w/Jack'n Jill bath & multi-purpose loft area. Patio overlooking the fenced backyard. Attached, 2-car, side load garage. Neighborhood amenities include clubhouse, pool, pond, playground,covered pavilions for picnic & grilling area. Close to library, Lowe's Corp. Offices, and schools. *Refrigerator to convey to buyer at no additional cost.